Foreign interest in Korean films has been on the rise. Not only known films but also new projects have been gaining attention. Here are several films that are in production or pre-production. LEE Joon-ik is coming back with another touching drama. Just as he fascinated audiences with King And The Clown and Radio Star, he is trying to arouse the sympathy of audiences again with his new film Wish. Shooting started on April 13th, but it has already created a lot of news for the fact that SOL Kyung-gu, who has actively played in a variety of films including artistic ones like A Peppermint Candy and Oasis as well as commercial movies such as Public Enemy, Silmido and The Tower, is working with LEE for the first time. Wish is a drama about a girl who has an unforgettable and painful memory from the past but her wish triggers her family to overcome their desperation and leads them to a new phase of life. Director LEE said, “With this heartbreaking material, I wanted to make the film as happy as possible. I am going to present a human drama where hope blooms at the edge of unhappiness and desperation.” Following on from his previous works, this film is expected to be filled with warmth. The first scene they shot was the scene where SOL and KIM Sang-ho are getting along well as friends and colleagues at a factory. Well known as good actors, they performed together in harmony. The director also put a lot of effort into every single scene. SOL, dramatically acting as a father facing the pain of his young daughter, will reach out the comforting and healing hand. Wish is scheduled to be released late this year. Wedding Eve is a romantic comedy directed by HONG Ji-young, approved with delicate directing when she made The Naked Kitchen. The combination of KIM Gang-woo and KIM Hyo-jin reminds us of The Taste of Money directed by IM Sang-soo. JU Ji-hoon of Kitchen and I am the King, LEE Yeon-hee of M directed by LEE Myung-se and OK Taek-yeon, a member of the idol band 2PM will form a love triangle relationship. MA Dong-seok of Nameless Gangster: Rules of the Time, New World and Azooma will pair up with Guzal TURSUNOVA from Uzbekistan. LEE Hui-joon of Helpless and GO Joon-Hee of Architecture 101 will appear as another couple. In terms of the cast, it has the scale of a blockbuster. The exciting and thrilling ‘marriage blues’ of the four couples are going to be portrayed. It will be an episodic film about marriage blues, which means psychologic uneasiness and stress of a person just before a wedding. The cast and story is worthy of our trust, considering it is produced by SOO FILM, which has participated in a number of successful romantic comedy films such as All For Love, Antique, Finding Mr. Destiny and All About My Wife. It is scheduled to be released late this year. After the cast for When a Man Is in Love has been fixed with HWANG Jung-min and HAN Hye-jin, preparation for shooting has accelerated. The skilled actor HWANG has gained enough credit by playing a variety of roles in You Are My Sunshine, The Unjust, New World and Fists of Legend. This is a melodrama about a small time bully who falls in love with a woman for the first time in life. The staff of Punch, a hit film viewed by 5.3 million viewers in 2011, are back together to make An Elegant Lie. The director of Punch LEE Han is going to make the film based on a novel written by KIM Ryeo-ryeong. In the film, an ordinary 14-year-old girl commits suicide, then the life of the people around her including her mother and sister will be portrayed. While the previous film Punch had a warm and bright story, the original story of An Elegant Lie is a suspenseful one. The original novel gained favorable comments for capturing a realistic message about family, friends and society as well as the sadness of the message. When LEE made Punch, he exhibited a sound point of view on education, multi-cultural families and the disabled. The question is what emotions will he touch on with this new film. He is planning to start shooting in June. The mother of the girl who kills herself will be played by KIM Hee-ae. It’s been 6 years since JANG Jin and CHA Seung-won worked together. They were a team when making Murder, Take One in 2005 and My Son in 2007. Film fans will warmly welcome their reunion. Shooting will start in April. 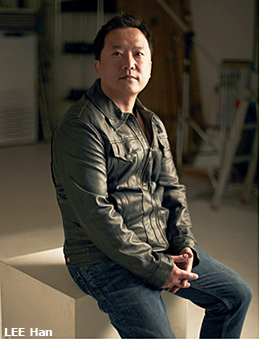 CHA plays the role of a violent crime detective and JANG directs the film with his unique style and cinematic sense. Director JANG is a very talented person, having worked with plays on the stage and a TV studio (Saturday Night Live Korea) besides film shooting sets. CHA has been away from the film scene for 3 years after he starred in 71-Into The Fire and Blades of Blood in 2010, which is why his fans are longing for the film. High Heel is an action drama featuring a gangbuster who wants to become a woman, a woman who gladly helps him and another man. Scheduled to be released late this year.